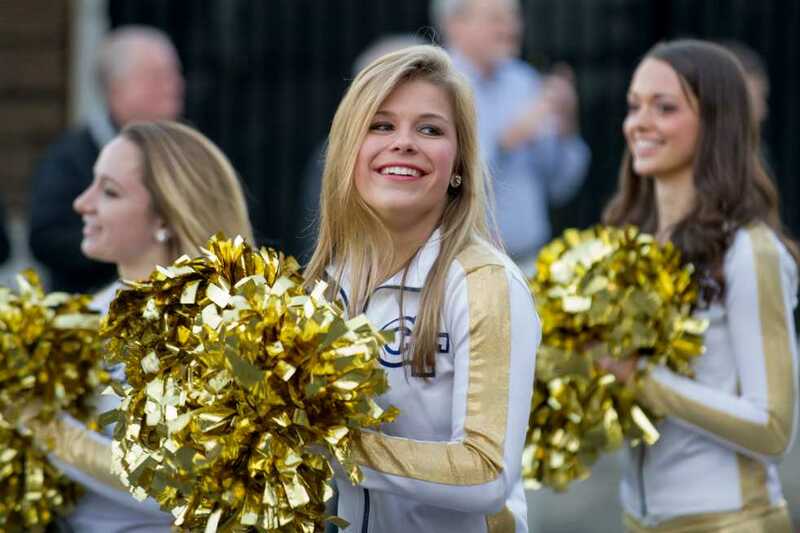 Shelby Bottoms, a third year AE major and member of the Gold Rush Dance Team, has spearheaded Tech’s involvement with Operation Mercurii. Tech’s bacteria sample, or Curtobacterium Herbarum, was one of forty-eight samples selected to travel to the International Space Station. Operation Mercurii is led by Science Cheerleader, an organization devoted to “playfully challenging stereotypes” by proving to young girls that they can be involved in both science and cheerleading. “Growing up, I was dorky, but I kept it a secret. For instance, I went to Space Camp but didn’t tell anyone. I wasn’t taking apart toasters so I thought I couldn’t be an engineer, but girls can be great engineers or scientists or whatever,” said Bottoms. Bottoms and other Gold Rush dancers swabbed samples from their mouth and jazz shoes to send to Project Mercurii. Then, Bottoms and her coach went to Bobby Dodd Stadium to get samples from an array of objects, including the goal posts, football player seats and student section seats. “The coolest part is that something I actually swabbed is going into space,” said Bottoms. When the samples arrive at the International Space Station, they will be tested on how the bacteria replicates in space as compared to on Earth. One set of the samples will be sent to the International Space Station, while a duplicate set will be sent to University of California-Davis, where Project Mercurii and Science Cheerleaders leader Wendy Brown is getting her pHD in Biomedical Engineering. Davis is a Tech alumna with a B.S in BME. She is a former member of the Gold Rush Dance Team and the Atlanta Falcons. Bottoms and the other Gold Rush members became involved in Project Mercurii through Davis. Because none of the bacteria sent are dangerous in any way, there is very little risk in the experiment. The scientists at Project Mercurii believe more research on the bacteria found at Tech, Curtobacterium Herbarum, would be especially interesting because of the bacteria’s resistance to heavy metals. Project Mercurii is more than just a social experiment to end stereotypes. Bottoms believes it could have a major impact on our knowledge of space conditions. “If people were to live on the moon or live on Mars, or even a space station, it’s important to be able to see how germs and microbes are going to be growing in space,” said Bottoms. Project Mercurii is not the end of Bottom’s space career though. She hopes to one day become an astronaut, but even if her dream does not come true, she is certain she will continue working with space missions. “Interplanetary missions or human space flight sound the coolest. Right now, I’m trying to decide whether I want to work with NASA or with a private corporation,” said Bottoms. Both she and Project Mercurii hope to inspire more young girls to get involved with STEM.